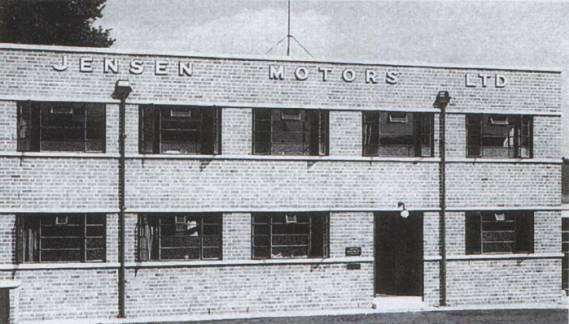 Jensen was founded by two brothers, Alan and Richard Jensen who were born in 1906 and 1909. They became interested in cars at an early age, and so in 1930 their father set them up in their first business, Patrick Jensen Motors, based at Edgbaston. They ran the business with Joe Patrick, but moved on the following year after a disagreement. 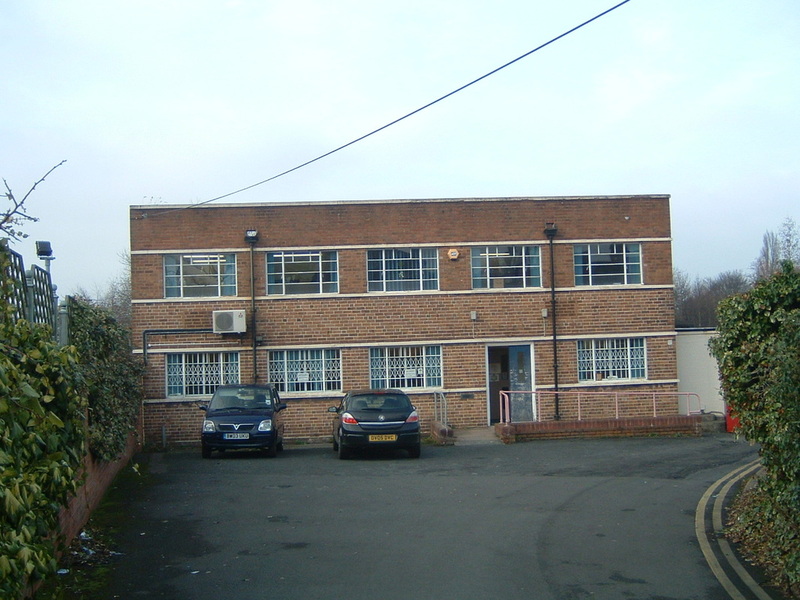 In 1931 they started work at W. J. Smith & Sons, an old established firm of motor body builders, located in High Street, Carters Green, West Bromwich. Smiths specialised in bodywork for lorries and cars. 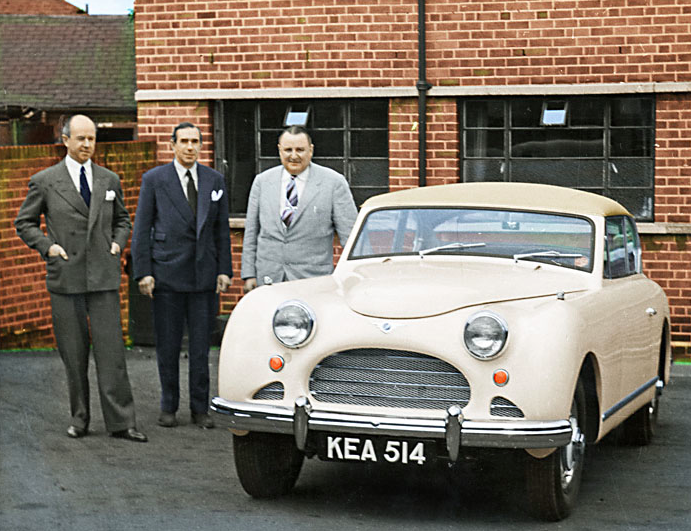 After William Smith’s death the brothers took over the business, and in 1934 it became Jensen Motors Limited. The business specialised in custom-built bodies for a range of readily available car chassis made by a range of manufacturers including Morris, Singer, Standard, and Wolseley. In 1934 the brothers received a commission from American actor Clark Gable to him build a special car, on a Ford V8 chassis. The brothers very much wanted to manufacture their own cars and so work soon began on the first model called the “White Lady”. The large open tourer was powered by a 3.5litre Ford V8 engine and appeared on the market in 1936. They also produced a saloon version. 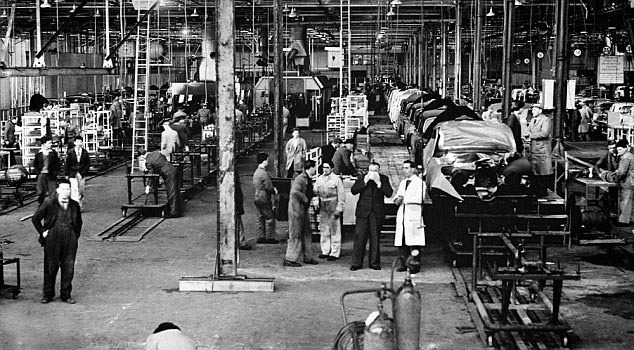 Quite a few cars were built, but many orders were also received for commercial vehicle bodies for lorries, vans, and buses. In 1939 the first Jensen lorry, the lightweight JNSN was launched. During World War 2 the firm concentrated on war work, building components for military vehicles, including turrets for tanks. Conversions were also carried out on American Sherman tanks to turn them into amphibious vehicles. After the war, car production resumed with the launch of the Jensen ‘PW’ luxury saloon, powered by a 3.86litre, 8 cylinder Meadows engine. Unfortunately the engine suffered from excessive vibration and so a replacement was essential. The car didn’t go unnoticed. Soon after making its appearance at the London motor show, a remarkably similar design called the ‘Sheerline’ was launched by Austin, much to the annoyance of Jensen. Austin had been so impressed with the ‘PW’ that they quickly produced an almost identical design. Heated discussions followed between the two companies, and in order to placate Jensen, Austin agreed to supply them with ‘Sheerline’ engines, which could be used in the ‘PW’ as a replacement for the unsuitable Meadows unit. This was to be the start of a long and successful relationship between Austin and Jensen. 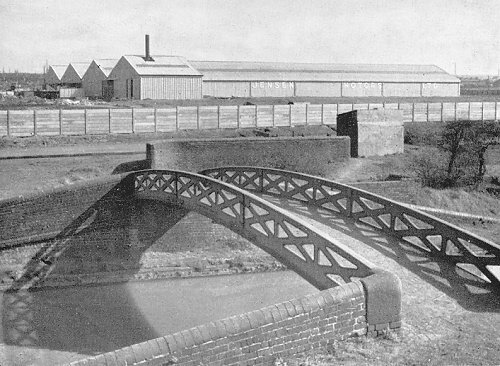 Although the ‘PW’ remained in production until 1952, only a small number were built, partly due to the shortage of materials after the war. In 1950 the Jensen ‘Interceptor’ name appeared for the first time in the form of a modern coupé with a lightweight body. The car, partly designed by Eric Neale, an ex-Wolseley body designer who joined Jensen in 1946, remained in production until 1958. In 1953 Jensen launched a new model, the ‘541’ which had a fibreglass body designed by Eric Neale, and sold for £2,346. The car had many Austin components, including the engine, to keep the price to a minimum. The car continued in production until 1962 when it was replaced by the ‘CV8’, a lightweight design, powered by a Chrysler V8 engine. The combination of the lightweight design and the powerful engine meant that the car had a top speed of 130m.p.h. A number of different versions were available including the ‘F.F.’ four wheel drive that sold for £5,249. The initials F.F. stood for Ferguson Formula, named after Harry Ferguson the tractor designer who invented the four wheel drive used in the car. Something like 350 ‘CV8’s were built. 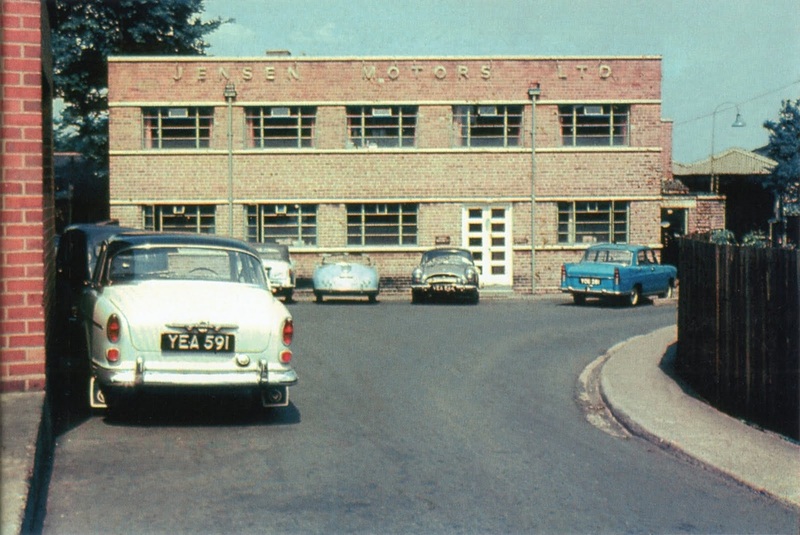 In 1956 Jensen moved to a new purpose built factory in Kelvin Way, West Bromwich where they not only made cars but also continued to make car bodies for other manufacturers, including Sunbeam ‘Tiger’ bodies for Rootes, and carried out finishing work on ‘1800’ bodies for Volvo. In the late 1950s Jensen was taken over by the Norcross Group which led to an awkward relationship between Norcross and the Jensen brothers. In 1965 the ‘CV8’ was replaced by what would be Jensen’s most well known model, the ‘Interceptor’, a totally different car to the original model bearing that name. The modern-styled body was designed by the Italian coachbuilder Touring, and initially built in Italy by Vignale, and later at Kelvin Way. Several versions were available including a convertible, a coupé, and a saloon. In 1966 the ‘Interceptor’ was voted ‘Car of the Year’. Around 4,500 would be built. Unfortunately the Jensen brothers, now getting on in years, and not happy with the direction the company was taking, especially with the use of Italian bodies, decided to call it a day, and retired from the business in 1966. In the late 1960s things started to go wrong. The Austin Healey was discontinued and so Jensen lost a most lucrative contract, the main source of income for the company. At the time body building work was in short supply, and the business found itself in deep trouble. After the demise of the Austin Healey, Donald Healey planned to build a new sports car as a replacement, built by Jensen and aimed at the American Market. Jensen’s dealer in California, Kjell Qvale, an extremely successful American businessman, was greatly impressed with Healey’s plans for the new car. As a result he became Jensen’s major shareholder, and employed Donald Healey as company chairman. The plans for the new car, called the Jensen Healey rapidly got underway and the car went into production in 1972. Unfortunately there were faults in the design, and the build quality left a lot to be desired. An improved version appeared the following year, but Donald Healey disapproved, and resigned. Desperate efforts were made to improve the situation, including cost-cutting which resulted in a large number of redundancies. New up-market versions of the ‘Intereceptor’ were launched including a convertible and a coupé, but all to no avail. Jensen’s financial situation worsened and a Receiver was appointed in September 1975. 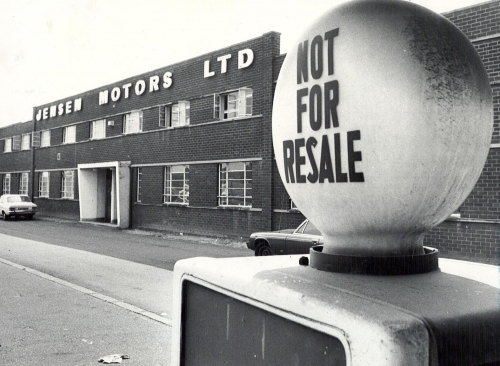 Production continued until Jensen Motors Limited went into liquidation in May 1976. The company was sold in two parts to a holding company, Britcar Holdings. The two parts were Jensen Special Products Limited, and Jensen Parts and Service Limited. 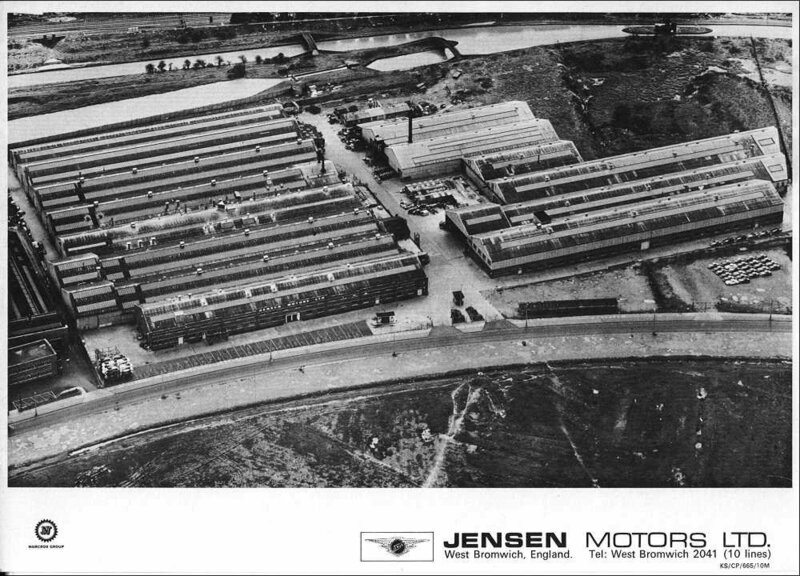 Jensen Special Products Limited was a specialised engineering and design company, mainly formed from Jensen’s development department. Unfortunately the venture failed after an unsuccessful management buy-out. 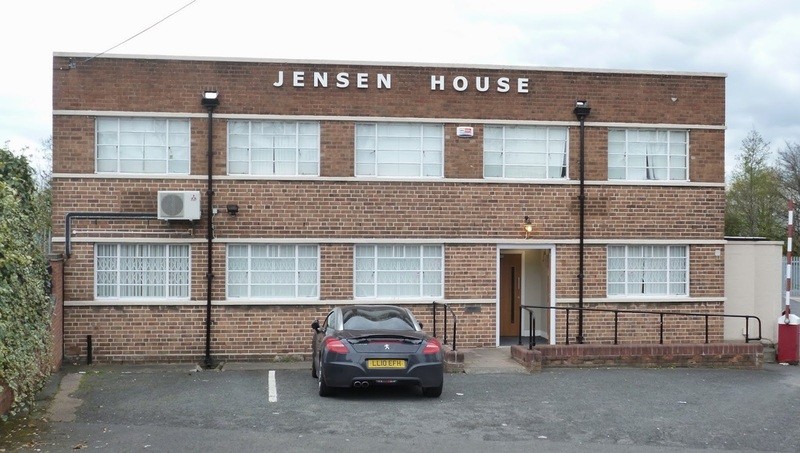 Jensen Parts and Service Limited had been formed to service and renovate Jensen cars. It became quite profitable and began to import Subaru, and later Hyundai cars. 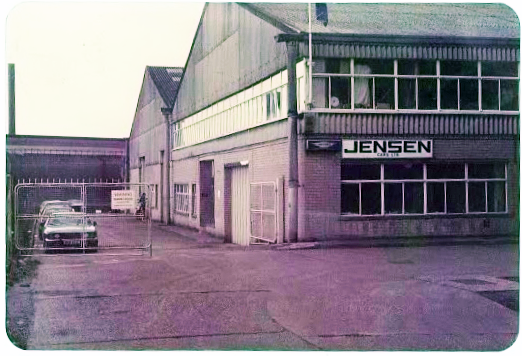 Company employee Ian Orford, who had purchased the right to the Jensen brand name, took the business over in 1982 and it became Jensen Cars Limited. He decided to restart production of the ‘Interceptor’ using the original jigs and readily available components. The new Series 4 ‘Interceptor’ made its first appearance at the 1983 Birmingham Motor Fair. The car was almost identical the previous model, except that it now had a Chrysler 5.9litre engine. The car sold for around £45,000, but production never really got underway and only a few were built. In 1988 Ian Orford sold the business to Unicorn Holdings of Stockport. Although development work then started on a new model, the Series 5, it never came to fruition. 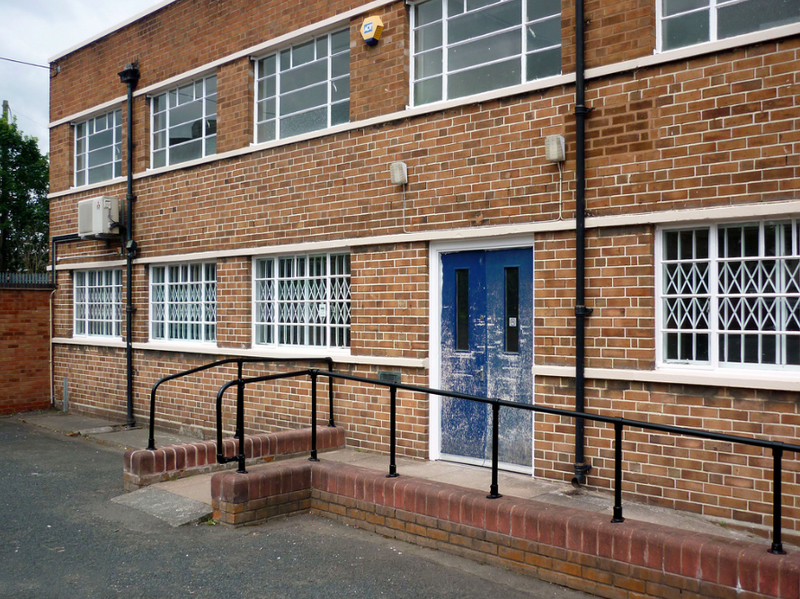 After a round of cost-cutting, a Receiver was appointed in 1992 which resulted in the closure, and sale of the Kelvin Way Site. 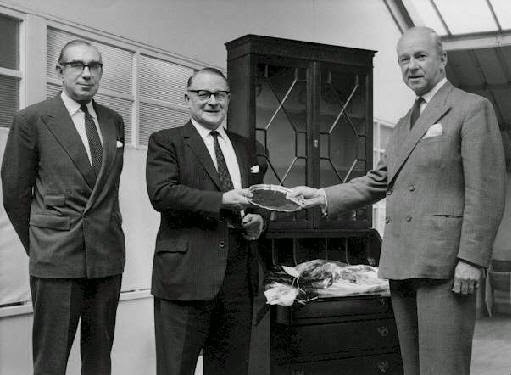 In April 1993 Martin Robey, a manufacturer of Jaguar body spares in Nuneaton purchased the design rights, copyrights, tooling, stock of parts, and almost the entire contents of the works. 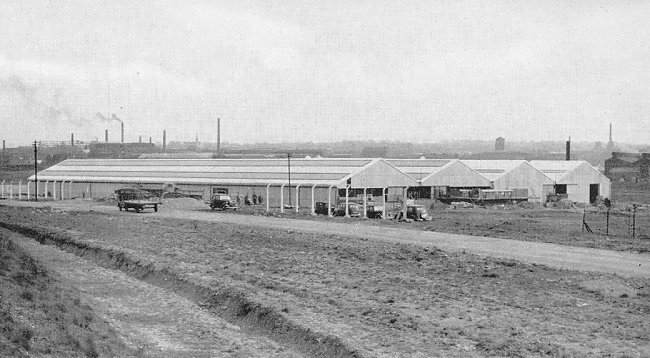 Some of the remaining Jensen staff joined the Nuneaton workforce and the business became Martin Robey Sales Limited. 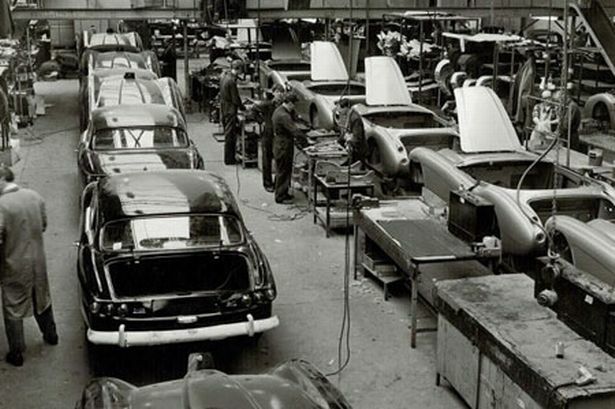 Their Jensen and Jensen Healey works Parts Department still offers parts from the original Jensen stock, and also manufactures parts using the original tooling and specifications. In 1998 Creative Design Limited of Redditch developed a new Jensen car, the ‘S-V8’. Although a few were built, the project was unsuccessful and ended in 2002.